CHP reported that both trucks veered off the roadway and onto the shoulder due to the accident. Traffic was congested in the area for approximately an hour as crews worked to clean the debris off the highway and remove the vehicles from the scene. Authorities do not suspect that drugs or alcohol contributed as factors to the collision. However, citations may be issued as the investigation continues. 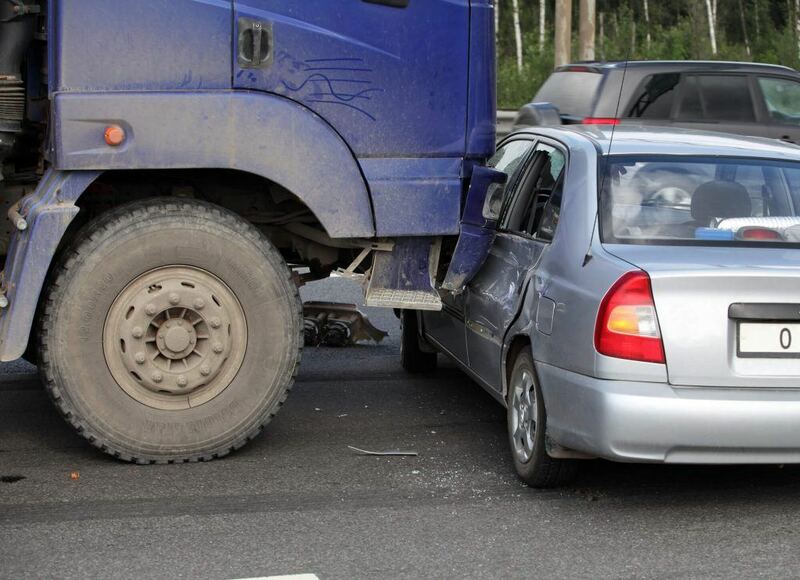 Underride Accidents: Since large trucks sit high off of the ground, a car can go underneath these trucks if they are traveling too closely or if the big rig stops suddenly. These accidents are among the most severe type of accident and often causes fatalities. Many trucks (but not all) have underride guards equipped to prevent vehicles from traveling under the truck in an accident. Wide Turns: Large trucks may have to swing wide by entering the adjacent lane to make a turn on roads with sharper curves. Drivers should keep this in mind and maintain a safe distance to limit their chances of being sideswiped by these massive vehicles. Bone Fractures: Depending on the severity of a crash, the impact an individual absorbs may cause one or more bones to break within their body. Some of the bones that are susceptible to fractures include the ribs, pelvis, collarbone, femur, and vertebrae in the spine. Wrongful Death: Crush injuries, head trauma, or burns are most likely to cause fatalities in some extreme cases. I’m Ed Smith, a Stockton personal injury attorney. Accidents involving large trucks commonly result in serious injuries or even fatality in some cases. If you or someone you love has been injured in an accident caused by a negligent trucker, I am here to provide you with free, friendly legal advice on your situation. Please feel free to reach out to me any time at (209) 227-1931 or toll-free at (800) 404-5400. I am a member of the National Association of Distinguished Counsel, the organization which recognizes the nation’s top one percent of attorneys from around the country. As a California member of the Million Dollar Advocates, I join other trial lawyers from around the nation who have secured verdicts or settlements of at least $1 million for a client. A list of some of our past cases and their outcomes may be found on our Verdicts and Settlements page.